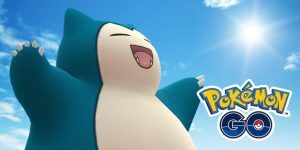 [UX] Bidoof coming to Pokemon Duel! 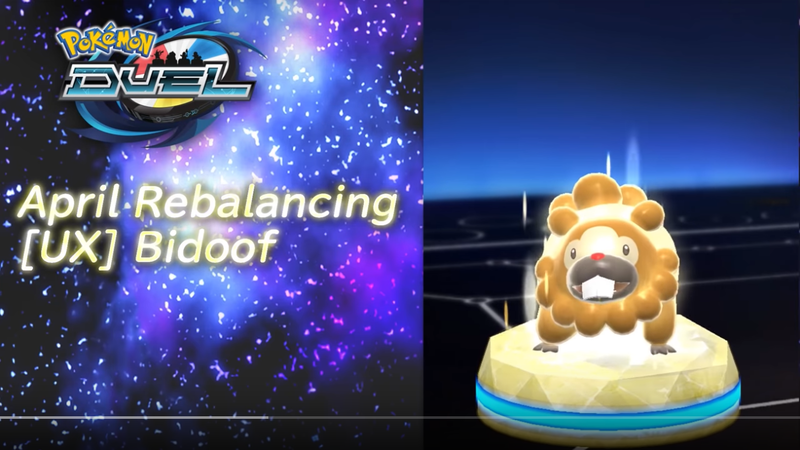 Bidoof has been official rebalanced in the April update to Pokemon Duel, resulting in a new spin dial and its new classification as a UX figure. The new dial consists of the White Attack Hyper Fang with a power of 170, the Purple Attack Dig with 2-star priority, the Gold Attack Quick Attack with a power of 90, and a large dodge slot with a small miss slot. 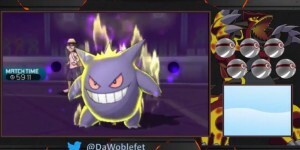 It also has the new ability Form Herd which allows players to circumvent the usual three of the same pokemon limit on a party and allows them to create an entire team of Bidoofs. How they are obtained is unknown but you can battle against AIs that use them in the Queen’s Cup that is running today only! This Queen’s Cup runs 24 hours until 08:00 UTC on April 2nd and provides a mask at 100 win points. Reward redemption lasts until April 5th. ← VIDEO: Should You Play Pokémon Let’s Go Pikachu/Eevee Instead of Your Boyfriend?